BUSINESS ENERGYCUBE is a hand-held mini-device emitting small doses of light radiation with LED. The everyday challenges and stress lower our energy levels – we constantly feel tired and tense. 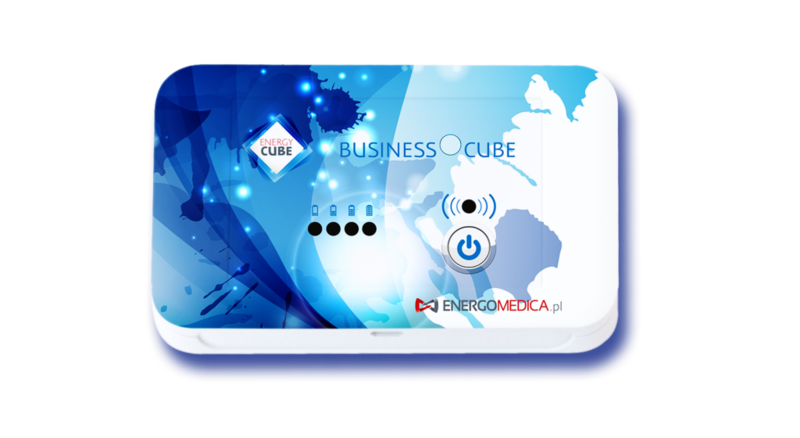 BUSINESS ENERGYCUBE improves microcirculation and increases oxygen and nutrient supply to the cells – by using the Cube we can increase our productivity and strengthen our bodies at a time when we cannot slow down. Studies on the properties of polarised light proved that it rebalances the body – tiredness subsides, stress symptoms decrease and the body regenerates faster. BUSINESS ENERGYCUBE meets the needs of active people who care about their own health! Thanks to BUSINESS ENERGYCUBE we eliminates constant fatigue and tension. → and in the effect harmonising. We will help you bring out your inner light!